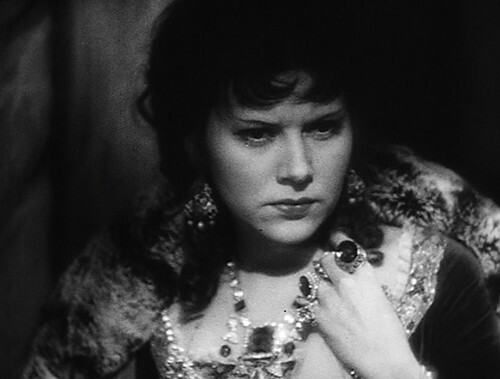 After reading about Ruthelma Stevens on my blog, a kind reader e-mailed me about two weeks ago to tell me about Ruthelma's outstanding performance in "The Scarlet Empress" (1934). I was so excited!! I had never even thought to look on Netflix to see if any of her other movies were available!! I added this to the top of my queue, and waited anxiously for it to arrive in the mail. Though it was filmed in 1934, the movie seems to have been filmed like a silent movie. There was some dialogue, but it was very sparse. There were dozens of title cards explaining the story, but the actors themselves weren't very talkative. Marlene Dietrich's role as Catherine the Great required her to look either doe eyed and innocent or alluring and self assured. Her acting abilities were not utilized at all, unless you think that holding a veil over your face while you stare lustfully at the camera is cause for an Oscar... Sam Jaffe had the same problem as Marlene. (no, he wasn't supposed to look alluring!) His contribution to the film is a series of crazed smiles and bug-eyed stares, both of which are sufficient enough to tell us that his character, Peter, was the result of hundreds of years of inbreeding. What initially impressed me about Ruthelma Stevens in "The Circus Queen Murder" was her ability to whip out fast paced dialogue and hold her own with a Hollywood pro, Adolphe Menjou. 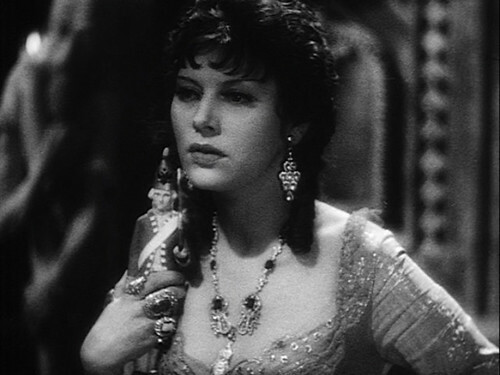 So what really fascinated me about her performance in "The Scarlet Empress" was how great she did, even with such a startling lack of dialogue. Ruthelma acted with her eyes just as good as Marlene Dietrich and Sam Jaffe did. Her menacing stare and furrowed brow sent shivers up my spine! Here was a cold, hard, calculating Countess -- you could see her jealousy of Marlene's Catherine sizzling in her gaze. 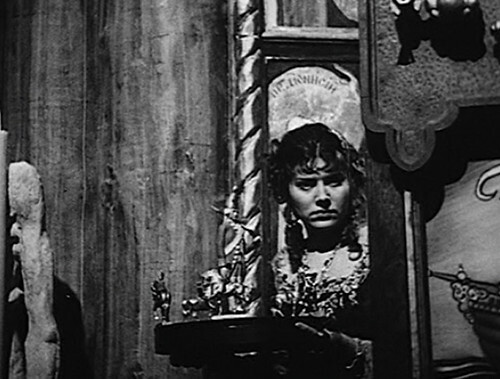 And, luckily, because imagery was so important in this film, Ruthelma had quite a few close-ups. And in these scenes, you can finally see how really beautiful she was. 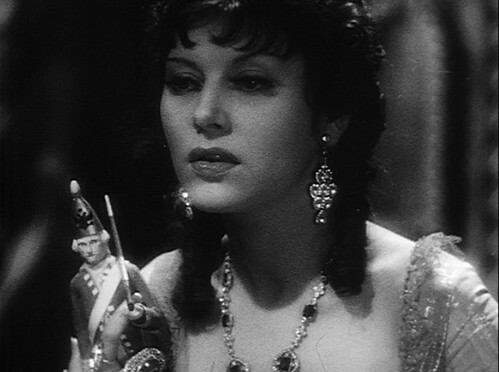 I could easily imagine her playing Cleopatra -- just take a gander at some of these screenshots-- she has that exotic, dark look that worked so well for Elizabeth Taylor, Vivien Leigh and Sophia Loren. Please take a look at the other Ruthelma posts on my blog! I've never seen The Scarlet Empress, but I have to say your post has me intrigued. I'll definitely have to catch it sometime now! Kate - I like how you've taken on this lesser known actress and become her champion in a way. Pretty neat. You should consider submitting your tag "Ruthelma Stevens" as a "fan site" on the TCMDB in case other people are looking for info on her.